Welcome to USF Health LIVE--a live video broadcast for faculty, staff and students to tune in and learn more about USF Health. 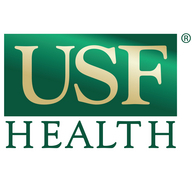 USF Health is dedicated to creating a model of health care based on understanding the full spectrum of health. It includes the University of South Florida’s colleges of medicine, nursing, and public health; the schools of biomedical sciences as well as physical therapy & rehabilitation sciences; and the USF Physicians Group. With more than $380.4 million in research grants and contracts last year, the University of South Florida is one of the nation’s top 63 public research universities and one of only 25 public research universities nationwide with very high research activity that is designated as community-engaged by the Carnegie Foundation for the Advancement of Teaching.